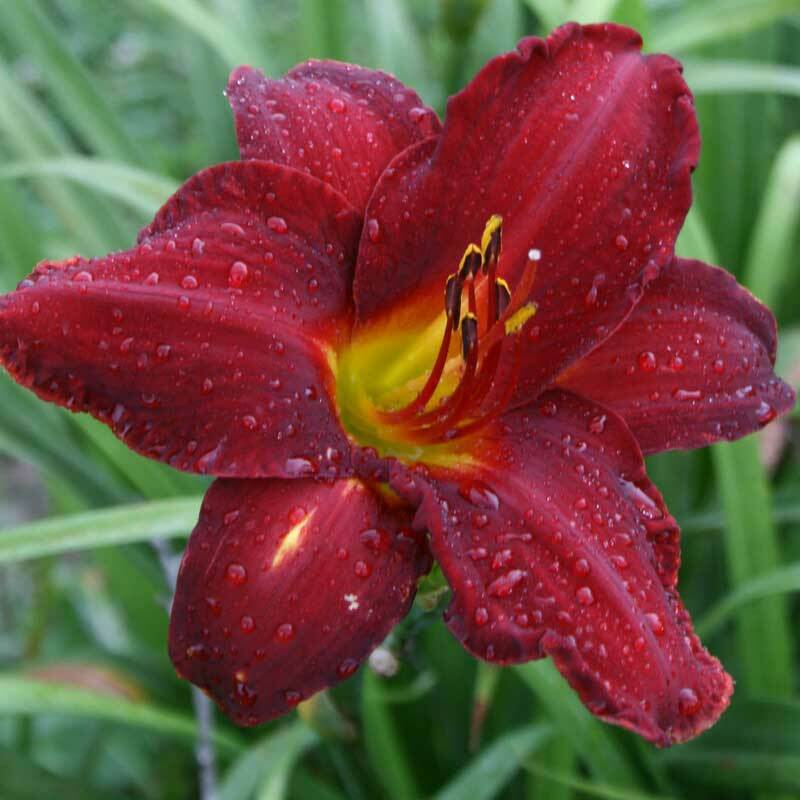 Big 6″ blooms of deep ruby red with a small yellow throat. 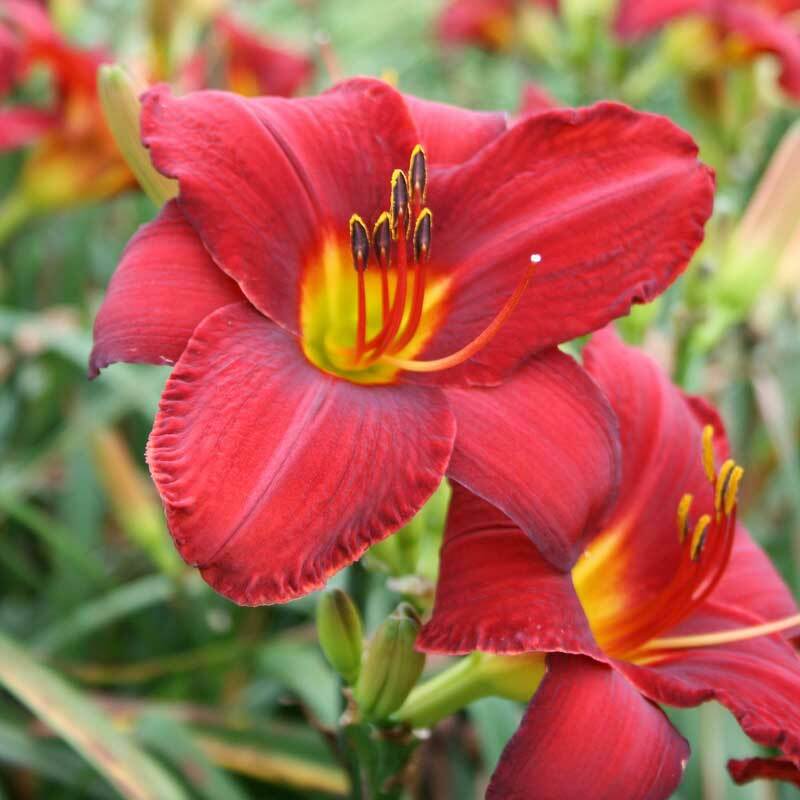 A vigorous grower that produces lots of blooms on a robust plant. I received this as my free gift for an order that I placed this spring. The plant was big enough so that I could divide it. When I planted the halves during the latter half of April we were having an unusual dry spell. Then during Mid-May we had a late frost. I’m 55 and can never remember such a late frost. So needless to say the spring weather was not kind to my new lilies. Nevertheless Chicago Ruby has performed like a real gem! On the bigger plant I had three scapes with a total of ten flowers. All were of nice size and quality. What was interesting was due to the spring weather the plants never has had much foliage so when the one bloomed it seemed a bit out of proportion but that’s fine with me. I can’t wait until next year to see what it will do. 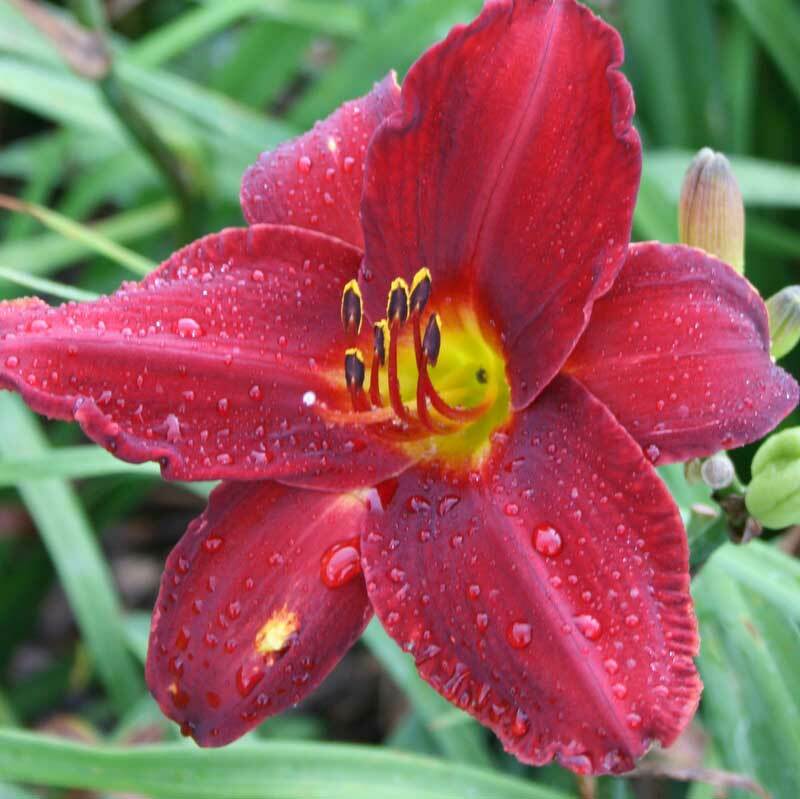 I would recommend this cultivar to anyone who likes large red flowers! 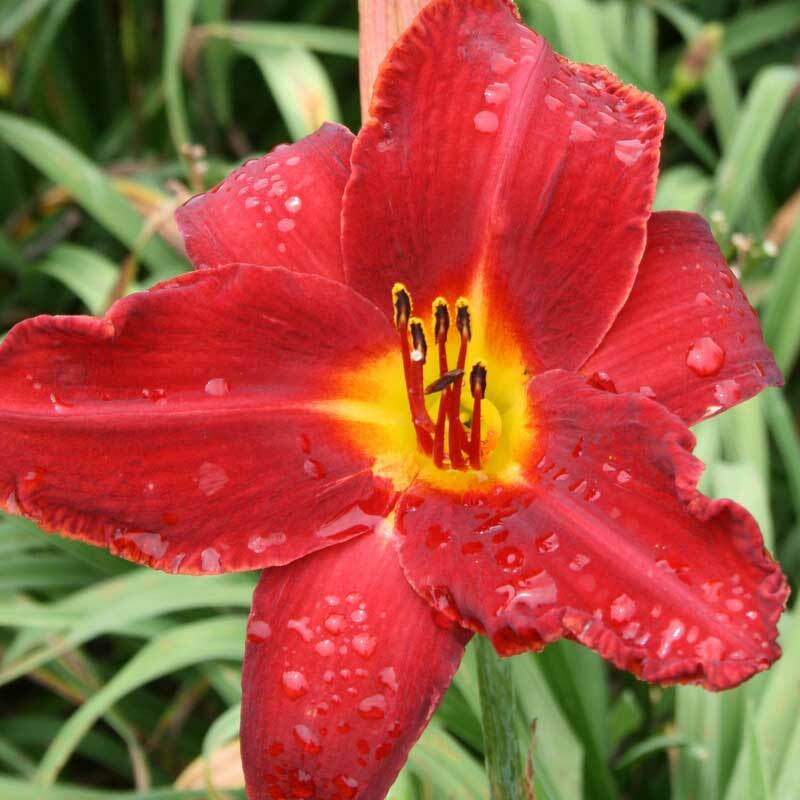 Its a real performer in the face of not so great weather! 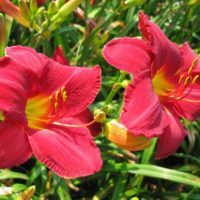 I have had this daylily in my garden for 14 years. Even though it is an sev it has proven to be absolutely hardy here in north Idaho where the temps can go back and forth from rain and 40 degrees to 0 degrees overnight all winter. 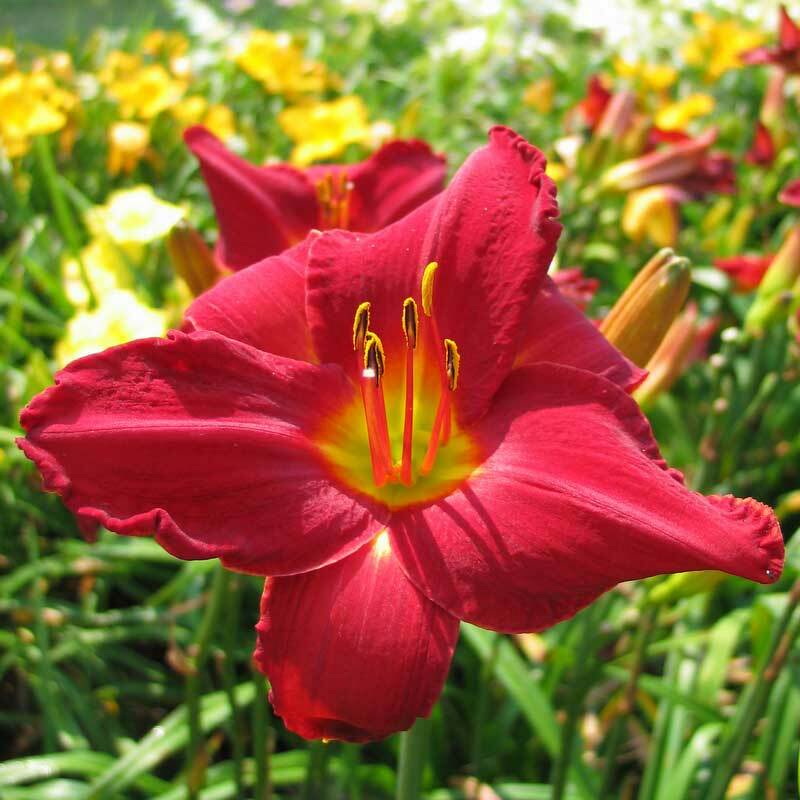 It is a very bright red, always opens well and formed a large clump fairly quickly. I consider it one of the best of the true reds that I have seen. 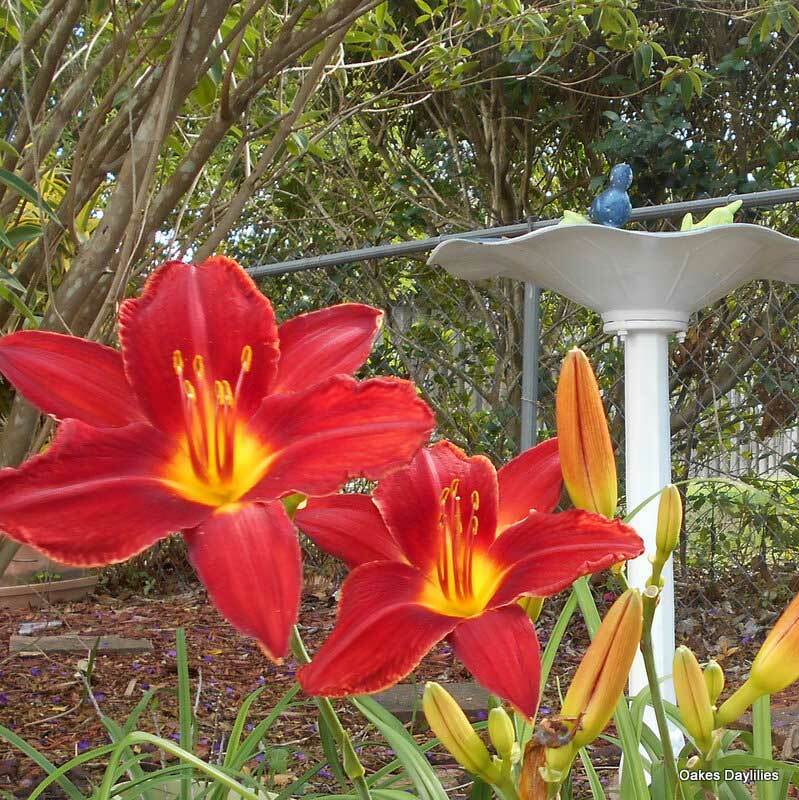 This lily is sensitive to the year’s weather in size and color. With the huge rains this year, it is absolutely beautiful: huge, a clear crayon red, and very tall scapes. 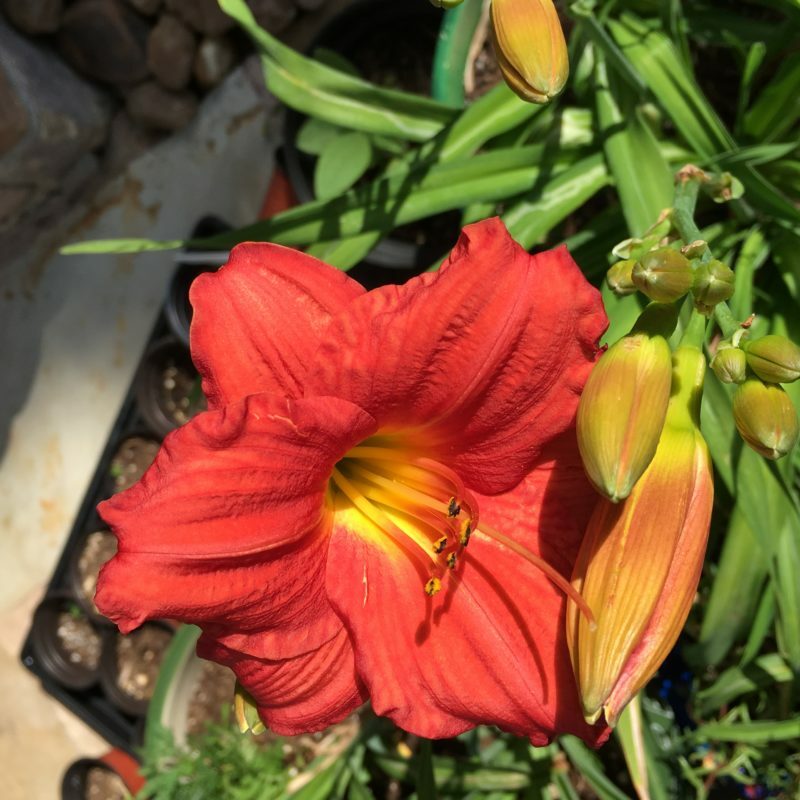 It holds it’s color in sun and heat. 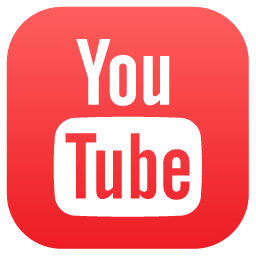 The flower is tough and does not easily damage. The jury is still out on this one. The color consistency was not there. The flowers ranged from a vivid bright red to a muddy orange/red. This was the first year in the garden for them so I will hold my final judgement for a year. Wow! Beautiful burgundy red blooms that do not fade in the full sun along my driveway. Very vigorous plants. Since the purchase of 1 plant 4 years ago and several divisions, I now have a mass planting that is stunning. 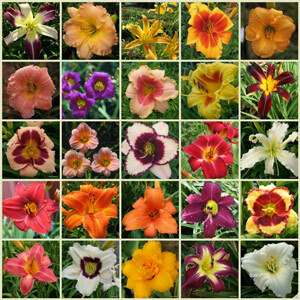 Each plant has produced at least 50 huge blooms so far and more buds are opening every day. I love this one! 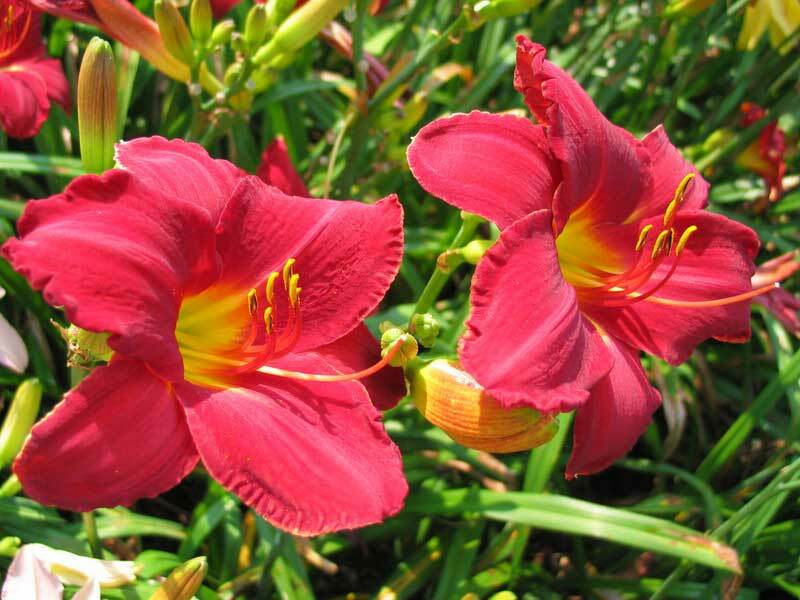 The flowers are very robust and the color is superb. This tetrapoid has developed into a large clump very quickly.